Interface to Label / Dot Matrix Printers / Scanner. Report for Bill Summary / Weighments for day. Master - Product, Customer, Brands. 500,000 Counts Internal / Up to 50,000 external. 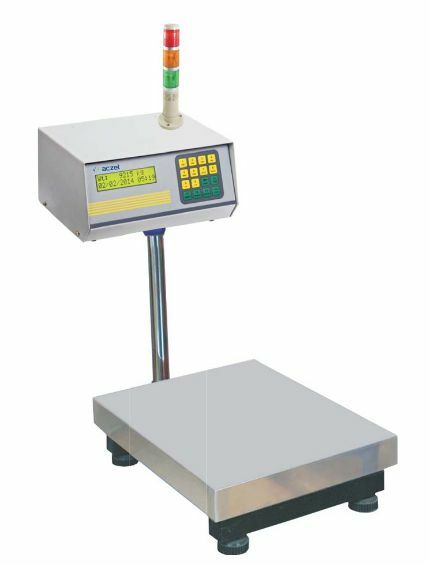 Weighing Scale / Data Processing Capacity. 5000 Shipper Memory, Upgradeable to 20,000. Dispense Mode / Shipper Mode Slips. Check Weighing / Counting Accumulation modes. Labels support for Shipper with Barcoding. Bi Directional RS 232 / USB for data output.